You can’t be in two places at once. But the way that YouCanBook.me handles timezones means that you can take bookings into your calendar wherever you are in the world. 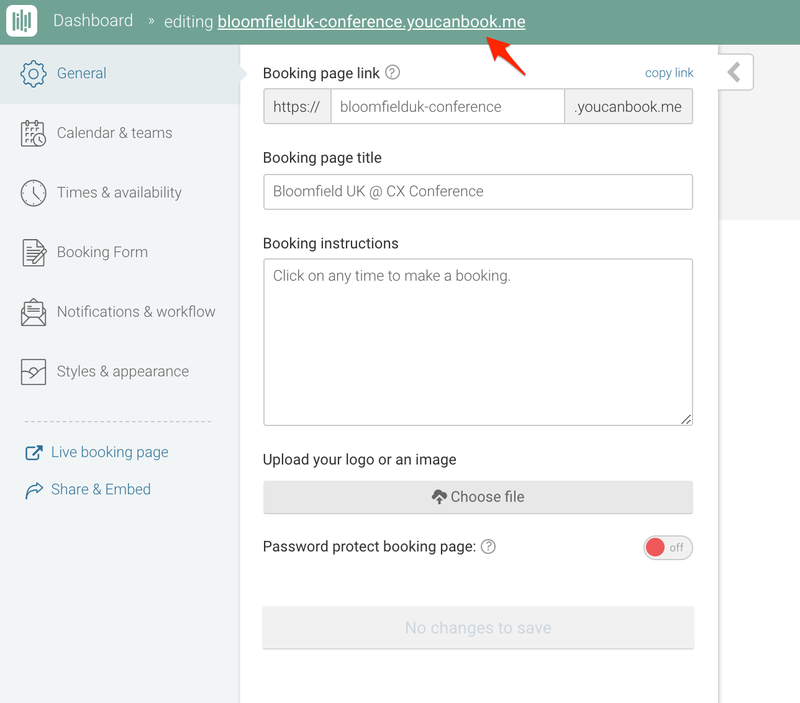 Next, in Youcanbook.me, you'll create a new profile just for these conference bookings. You will direct your conference attendees to this new booking URL. 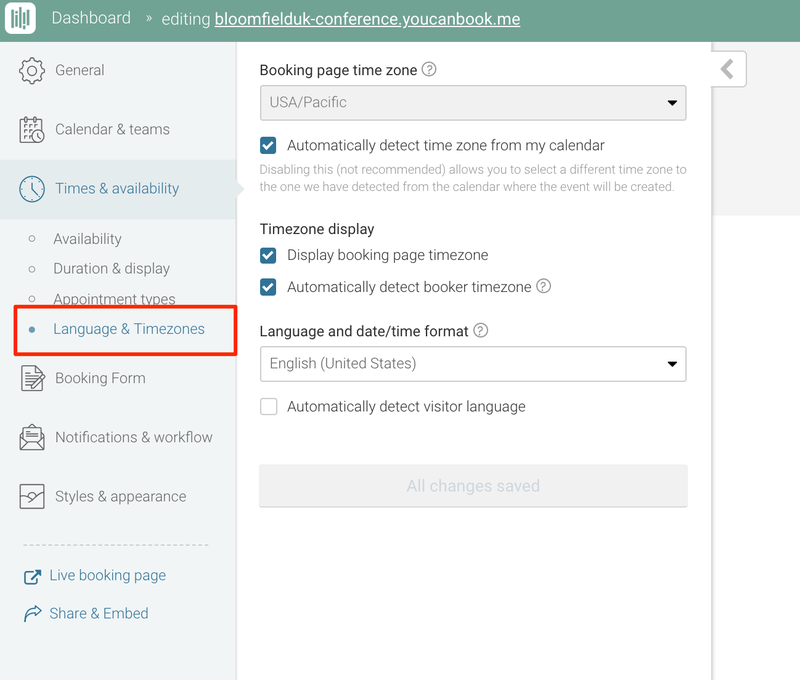 And on the Times & availability > Language & Timezones section, you'll select the correct timezone for your conference. This may be detected automatically. 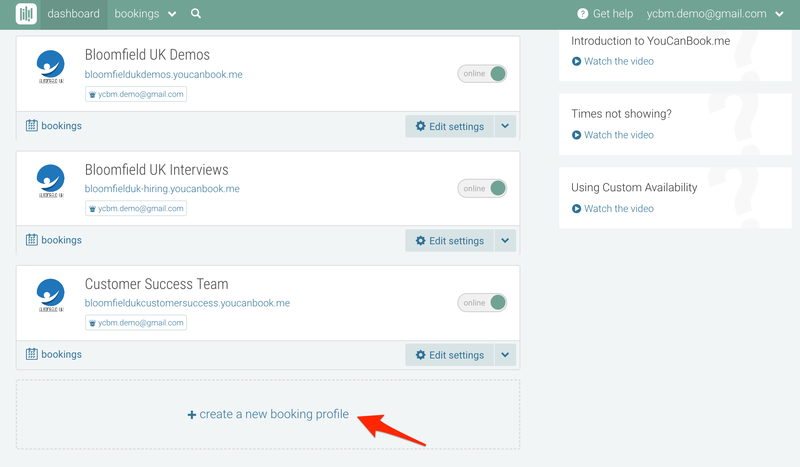 You'll also want to do some customization of your availability on the Availability tab, and you can also set a fixed start & end date on this profile, so that people can only book during the days of the conference. 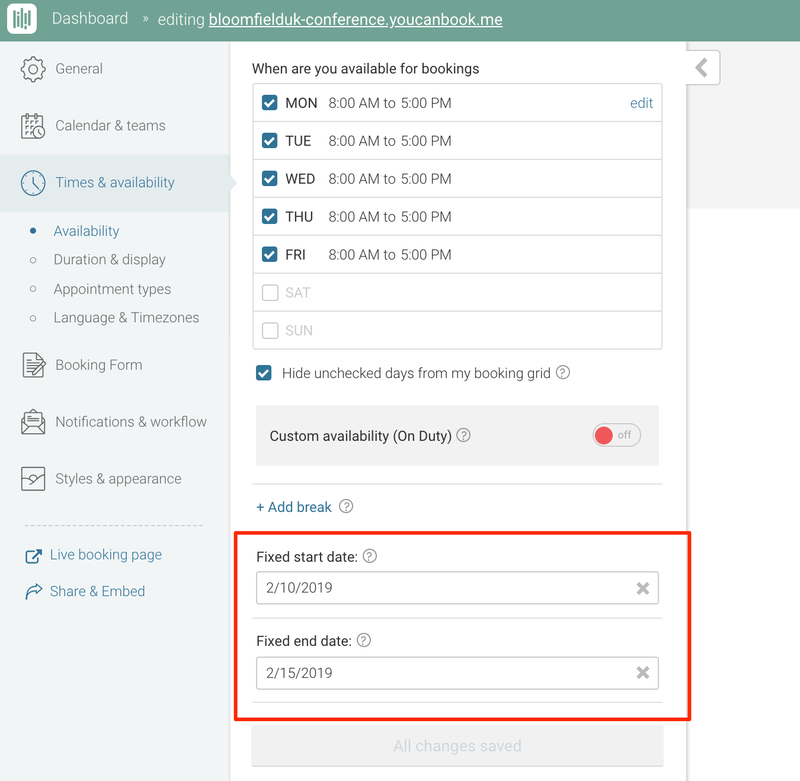 If your travel requires you to regularly be in different time zones taking bookings and you want to keep all of your bookings on the same profile, you'll want to use our Custom Availability feature. Say you're travelling between London and New York and your Google calendar is set to Eastern time. 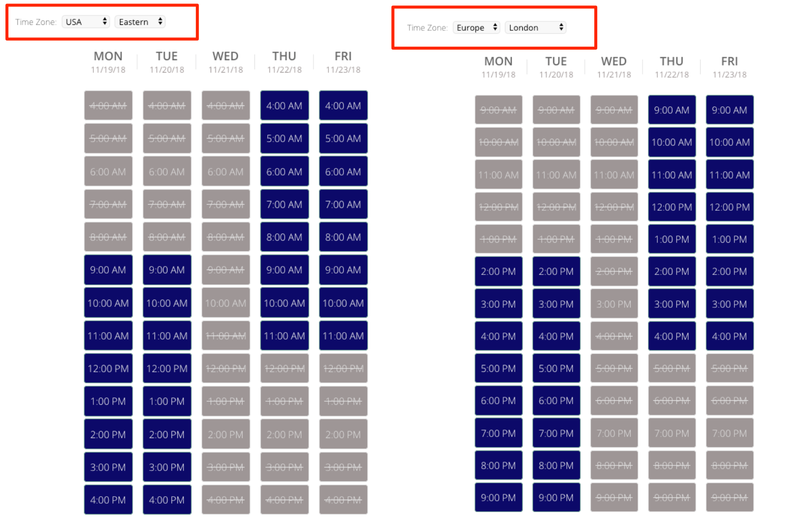 With Custom Availability, you set your available times in the Times & Availability > Availability section in order to accommodate availability in both timezones. 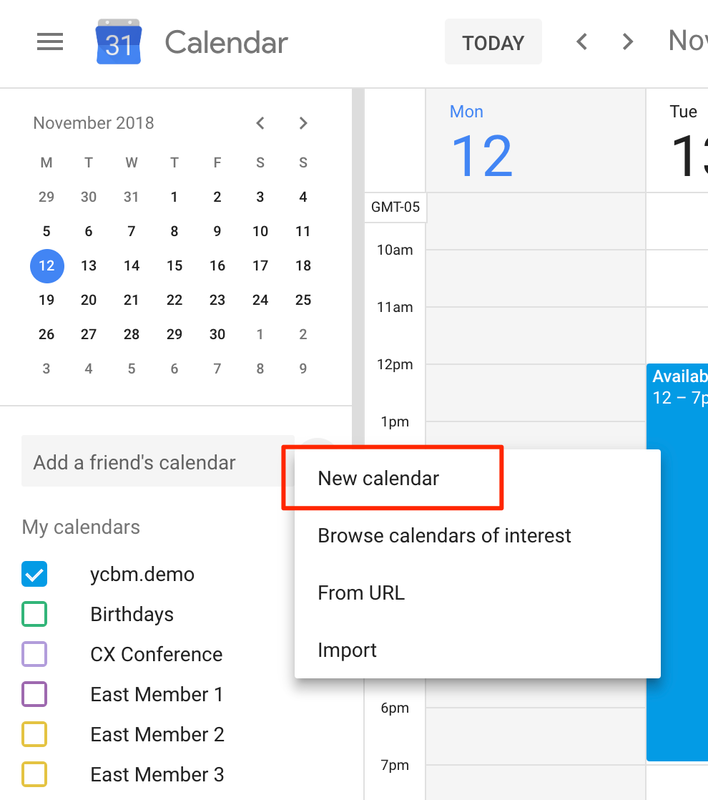 Next, you will create On Duty events on your Google Calendar at the times you are available in each place. When you travel between time zones, your Google calendar time zone updates automatically. So the On Duty times shift - and make perfect sense in the correct timezone. Tip: If you are traveling between time zones and your Youcanbook.me profile is set to auto-detect your timezone from your linked calendar, the profile timezone will change. If you don’t want the timezone to change, then you will need to lock in their timezone by deselecting the "auto detect bookers time zone" option. With the Teams feature toggled on, the timezone of the 1st team calendar will be what timezone all team members availability will be displayed in. 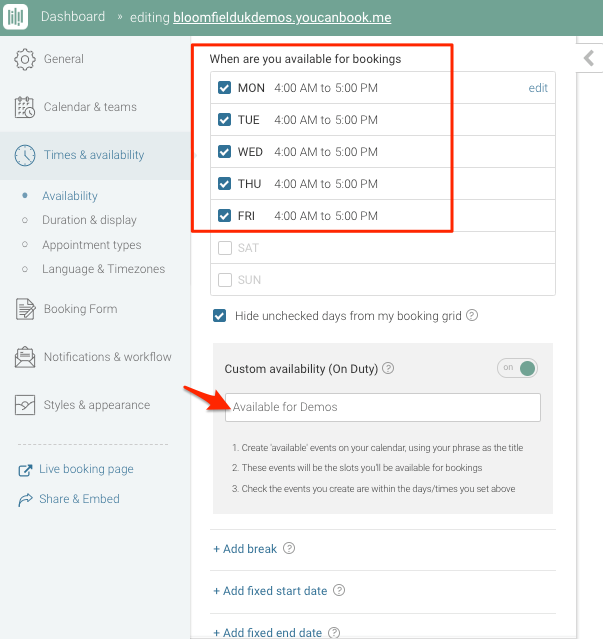 When you have team members in different time zones in different time zones, you'll need to set up custom availability with our On Duty feature. Essentially each team member will create events on their calendar for the times that they are available. The events need to have a specific title and be marked as free or available. 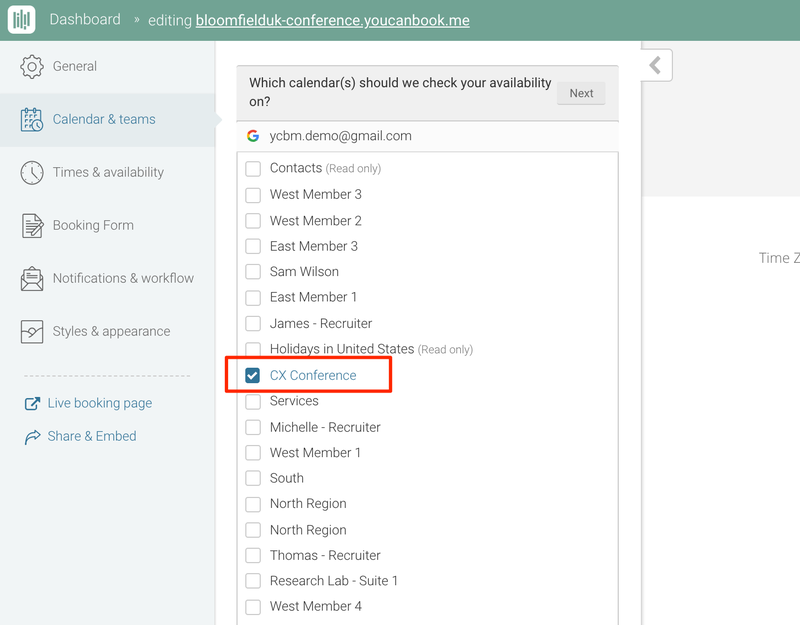 From there you can set up the On Duty feature inside of YouCanBook.me with that same event title. Then the availability will be custom for each team member and be appropriate to their timezone. More about how Teams & Custom Availability work here.